Summary: While laughter is considered to be a sign of happiness, it isn’t always healthy or positive, researchers report. When you hear someone laugh behind you, you probably picture them on the phone or with a friend – smiling and experiencing a warm, fuzzy feeling inside. Chances are just the sound of the laughter could make you smile or even laugh along. But imagine that the person laughing is just walking around alone in the street, or sitting behind you at a funeral. Suddenly, it doesn’t seem so inviting. The truth is that laughter isn’t always positive or healthy. According to science, it can be classified into different types, ranging from genuine and spontaneous to simulated (fake), stimulated (for example by tickling), induced (by drugs) or even pathological. But the actual neural basis of laughter is still not very well known – and what we do know about it largely comes from pathological clinical cases. Laughter and the appreciation of humour are vital components of adaptive social, emotional and cognitive function. Surprisingly, they are not uniquely human. Primates and apes also enjoy a good chuckle. This may have evolved because it helps them survive. Laughter is, after all, a communal activity which promotes bonding, diffuses potential conflict and eases stress and anxiety. But it loses its momentum quickly when indulged in alone (solitary laughter can have ominous connotations). Laughter does have the power to override other emotions momentarily – we cannot sob morosely or simmer with anger while simultaneously laughing. This is because our facial muscles and vocal architecture have been hijacked by sunnier emotions. And it is all controlled by specialised brain circuits and chemical messengers (neurotransmitters). We know there are several brain pathways that contribute to laughter – each for different components of it. For example, brain regions usually involved in decision-making and controlling our behaviour have to be inhibited to facilitate spontaneous and unbridled laughter. Laughter also relies on emotional circuitry connecting areas responsible for experiencing emotion with those required for expressing emotion. While we have garnered detailed knowledge of brain features crucial for facial expressions, swallowing, tongue and throat movements, far less is known about how positive emotions actually get transformed into laughter. Luckily, a number of illnesses and conditions have helped shed some light on its underlying neural functions. One particularly well documented syndrome, thought to be first identified by Charles Darwin, involves an unsettling exhibition of uncontrolled emotion. It is clinically characterised by frequent, involuntary and uncontrollable outbursts of laughing and crying. This is a distressing disorder of emotional expression at odds with the person’s underlying feelings. The condition is known as pseudobulbar affect syndrome and may be expressed in several different neurological conditions. Scientists are only starting to uncover the mysteries of laughter. NeuroscienceNews.com image is adapted from The Conversation news release. Briefly summarised, the condition arises from a disconnect between the frontal “descending pathways” in the brainstem – which control emotional drives – and the circuits and pathways that govern facial and emotional expression. Some disorders specifically associated with the condition include traumatic brain injury, Alzheimer’s disease, Parkinson’s disease, multiple sclerosis and stroke. Indeed, a study last year found that an increasingly twisted sense of humour and laughing at inappropriate times could be an early indication of dementia. Pseudobulbar affect syndrome is also one of the most common reported side effects of stroke in terms of emotional change. And given the high incidence of stroke each year, the condition is likely to be highly prevalent in the general population. There are a number of other specific conditions that may also be associated with abnormal brain wiring. Gelotophobia is an intense fear of being laughed at. Gelotophilia, on the other hand, is the enjoyment of being laughed at. The related condition katagelasticism, meanwhile, is the joy of laughing at others. Gelotophobia, in particular, can develop into an extreme, joy-sapping anxiety that ranges from social ineptness to severe depression. It may induce vigilant environmental monitoring for any signs of ridicule. This abnormal fear of being mocked may arise from negative early life experiences of being teased, mocked or laughed at. Imaging data show that gelotophobia is associated with poor connectivity between frontal and medial temporal brain areas, networks responsible for monitoring and processing emotional stimuli. 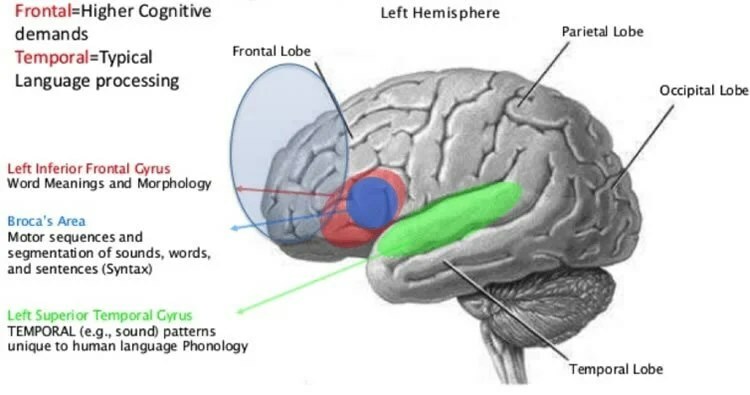 Language areas of the brain. Credit: The Conversation. We also know that frontal brain circuits enable us to interpret the literal meaning of language in a social and emotional context. This helps us appreciate subtle humour like sarcasm. Interestingly, this ability is often lost after frontal brain injury, or in conditions associated with frontal dysfunction, for example autism. Despite the dark side of laughter, there is no denying that laughter generally induces warm fuzzy feelings. We know that laughing enhances cardiovascular function, fortifying our immune and endocrine systems. We also know that positive, “benevolent humour” – “laughing with” rather than “laughing at” others – is especially rewarding. Indeed the way our brains process other peoples’ laughter seems to indicate that laughing with someone has more emotional depth and is more pleasurable than laughing at them. Indeed, our brains seem particularly affected by emotionally rewarding and authentic happy signals. This might help explain why laughter therapy has been shown to have potent effects. These include muscle workout, improved respiration, decreased stress and anxiety and improved mood and resilience. 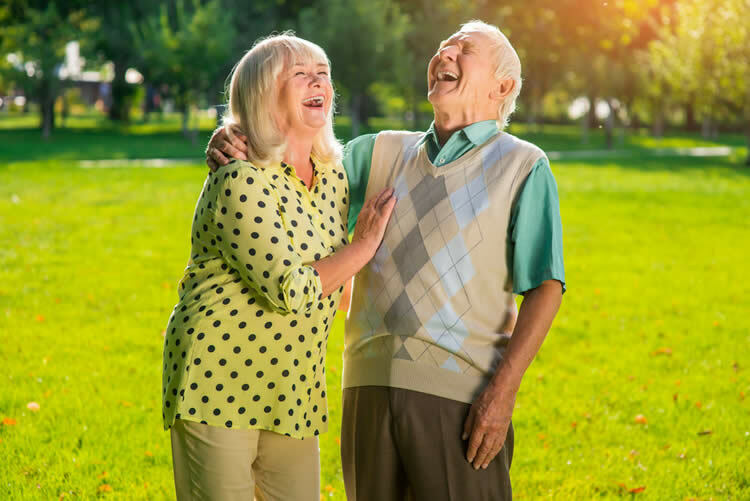 Laughter therapy has even been shown to function similarly to antidepressants by raising serotonin levels in the brain, a crucial neurotransmitter vital for feelings of wellbeing and calmness. So regardless of the style of the humour, as long at there is no underlying illness, laughter is likely to be the best medicine. Funding: Lynne A Barker does not work for, consult, own shares in or receive funding from any company or organization that would benefit from this article, and has disclosed no relevant affiliations beyond the academic appointment above. Image Source: NeuroscienceNews.com images are adapted from The Conversation news release. Video Source: The video is credited to the BBC. The Conversation “The Science of Laughter – And Why It Also Has A Dark SideIdentified.” NeuroscienceNews. NeuroscienceNews, 12 May 2017. The Conversation “The Science of Laughter – And Why It Also Has A Dark SideIdentified.” http://neurosciencenews.com/neuroscience-laughter-6661/ (accessed May 12, 2017).